A political analyst with CNN came under fire Tuesday after tweeting out a graphic depicting President Trump in crosshairs. He quickly deleted the tweet — but not before Twitter users were able to grab some screenshots. 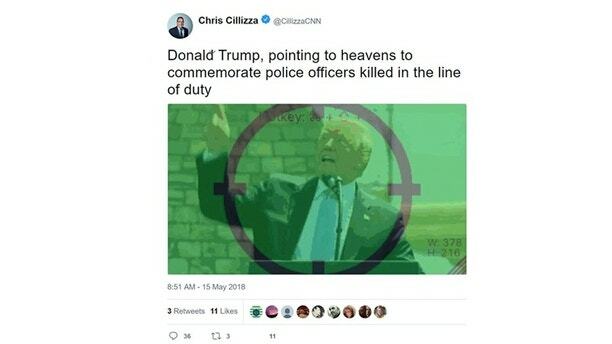 Cillizza explained later that the image was unintentional, the result of a default setting in a program he’d used to generate the graphic.